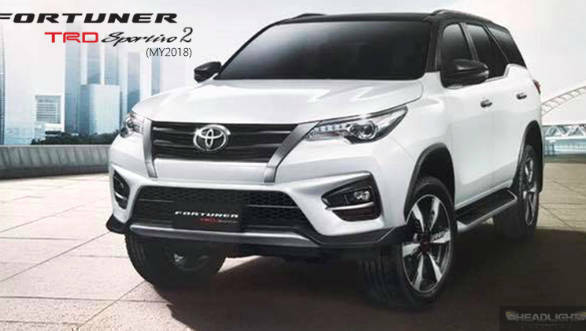 Toyota's Thai arm has shown an updated styling package for the Toyota Fortuner SUV, termed the Toyota Fortuner TRD Sportivo 2. This is the second iteration of the sports-themed Sportivo package for the car. Changes to the exterior include a black out grille with brushed metal finish, a new bumper with a more prominent front lip, new fog lamp housings, new side skirts and a unique design for the 20-inch alloy wheels. The body is finished in two-tone with the outer mirrors, pillars and roof being blacked out. The rear similarly gets an aggressive treatment with a new rear bumper, with integrated diffusers, larger reflectors and new positioning for the rear fog lamps. The interior has be done up too. There is now red inserts on the center console and dials, red stitching and two-tone red and black upholstery. 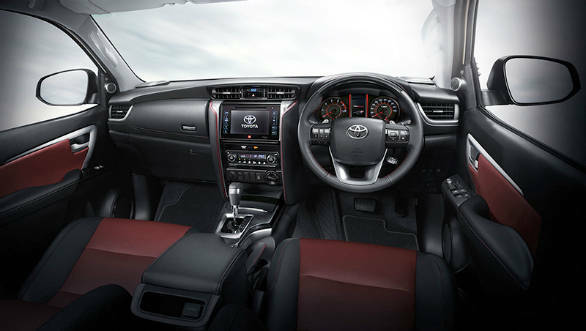 Mechanically, the Thai Fortuner TRD Sportivo 2 also gets the same 2.8-litre four-cylinder diesel as seen on the Indian-spec SUV. This motor puts out 177PS and 420 Nm and is mated to a six-speed automatic transmission. This version gets a new suspension set-up to go with its more engaging positioning. Both 2wd and 4WD variants will be offered. The Sportivo 2 looks like an ideal fit for the Indian market. 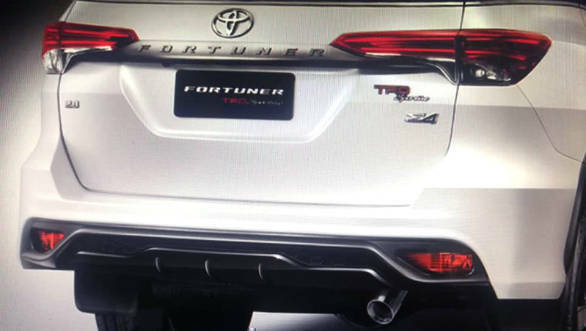 Toyota has already sold TRD-badged Fortuners in India before and this could be great as a top-of-the-line model in the line-up, especially for the large percentage of buyers who mostly use these cars on the road, rather than off it.